This post and video, Spider Web Cereal Treats, is sponsored by Campfire® Marshmallows. All opinions are, as always, my own. Because it’s Halloween, it’s Hall-o-weeeen! So, I have this weird obsession with watching old episodes of the kid shows that my kids used to watch all of the time around the holidays. I don’t know why I do this, but I’m sure it has something to do with nostalgia of the days that they used to be home with me running around in their pajamas singing along to Yo Gabba Gabba songs. Yes, Yo Gabba Gabba. My 10 year old was so into that show when he was 2 and 3. We would watch and re-watch the holiday episodes, including the Halloween episode, until all of the songs were embedded into my brain and I found myself humming them even years later when the season comes back around. Last week, when the kids had off of school, I pulled up old episodes of their favorite shows to rewatch the Halloween episodes. The Yo Gabba Gabba Halloween was the best and I challenge you to try to not have those songs stuck in your head. Now that the kids are in school, our Halloween traditions have shifted from watching goofy Nick. Jr. shows to school parties and parades. With C being in 2nd grade this year, I know the years are numbered when they ask for parent help at school parties. A’s 4th grade class is already parentless when it comes to parties (which it should be, I agree) but it just means that the time is going by so fast! This year, I’ve been playing around with all of the Campfire® Halloween Marshmallows. 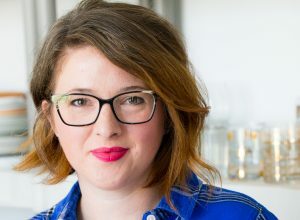 I just love a seasonal marshmallow and they can be so fun to use as a jumping off point for a festive treat. Last week, I shared my Marshmallow Ghost Hot Chocolate Toppers. With the weather in Ohio, we will likely need a few cups of hot chocolate after trick-or-treat tomorrow night so those will definitely be on the menu. 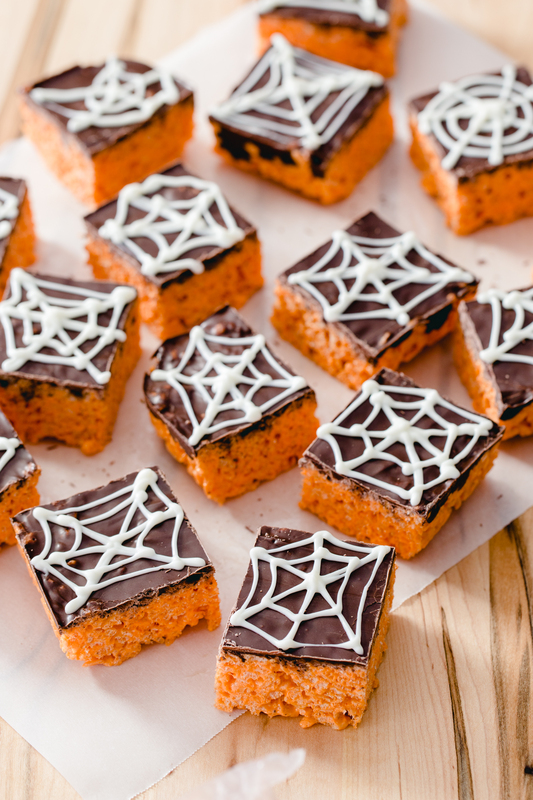 These Spider Web Cereal Treats are a no-bake treat that can be easily made allergy-friendly which is perfect for school Halloween parties. 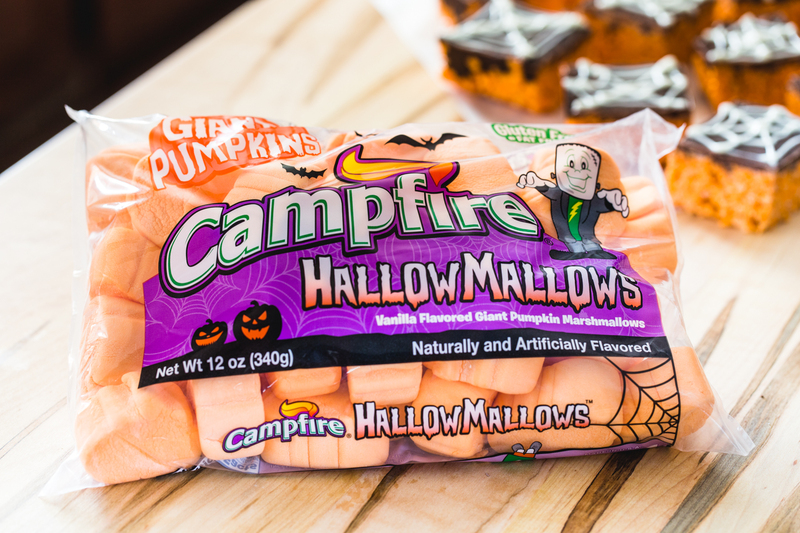 Campfire® HallowMallows are free of most major allergens including nuts, dairy, and gluten. Because the ingredients are so few, you can adjust for any allergies that you might be trying to avoid. 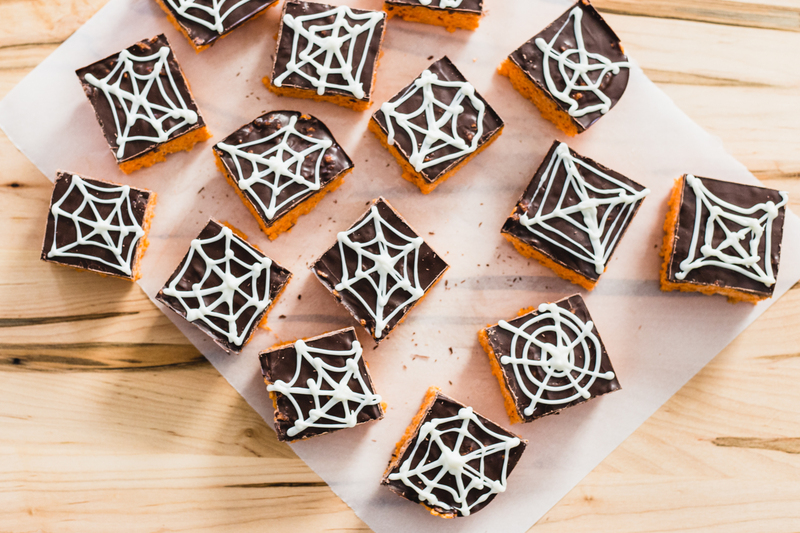 These treats are as easy as making classic marshmallow treats, but with the addition of some melted chocolate and a cute piped spider web. As you can tell, some of my spider webs were a little sad, but I like to think them all uniquely webb-ish. I bet Charlotte would be supportive of my wonky webs. Need a last minute allergy friend party treat? 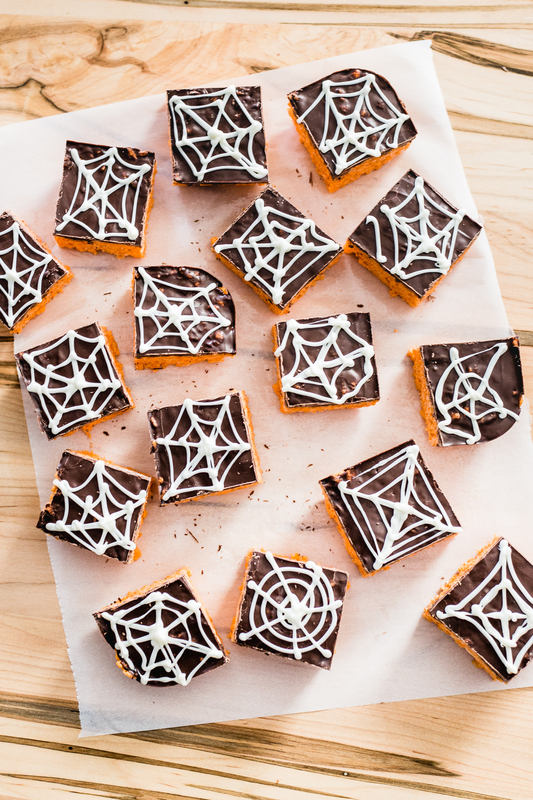 Give these Spider Web Cereal Treats a try! Place butter and marshmallows in a large microwave safe bowl. Microwave on high for 30-60 seconds until marshmallows are puffed and melty. Watch carefully so they do not overflow in the microwave. Stir until smooth and butter is melted. Add in cereal and stir to coat. Pour into a buttered 9x9 inch baking dish. Pour melted dark chocolate over cereal treats and spread with a spatula. Allow to cool and set for several minutes. 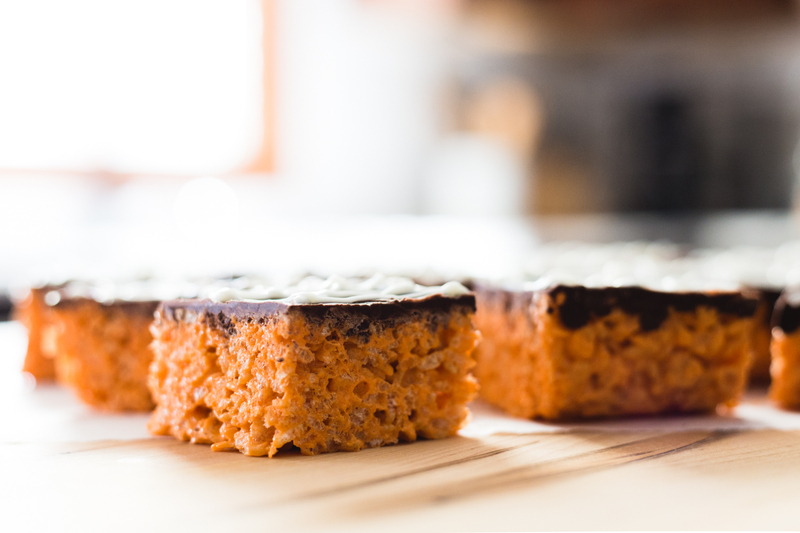 Cut treats into squares. Transfer melted white chocolate to zip top bag and snip a very small piece off of one of the corners. Pipe on spider webs. Allow chocolate to set before serving.